Most of the scholars who write about Jesus would be considered to be New Testament historians. But there are other historians interested in that period. There are classical historians, who study the history of Greece and Rome. Christianity is very important for this study, because it was a major movement that eventually affected the entire Roman Empire. The person of Jesus is often of less direct interest to them, except as the founder of this movement, because Jesus lived in a relative backwater of the Empire. There are also Near Eastern historians, who include Biblical historians, but also those who specialise in other aspects of the Middle East. Classical and near eastern historians are important for a non-historian like myself, because they give an assessment of Jesus that is somewhat independent of Biblical studies. It seems that classical historians have no doubts that Jesus was a historical figure, about whom we can have some quite clear knowledge, even though they see difficulties in the New Testament text and don’t address the more miraculous elements in them. For example …. teaching in the synagogues, attending the Temple services, keeping the festivals – and disputing with other teachers …. fraternizing with wealthy tax-gatherers, worldly sinners, women of ill-repute and Gentiles (and other social outcasts). …. his ignominious death [and his diciples’] conviction of his resurrection . Clarke mentions these as apparent historical facts, but draws no conclusion as a historian about the supernatural elements of the gospels. The information about Jesus which can be gleaned from sources other than the gospels – a few references in Josephus, one in Tacitus, and the information implicit in Paul’s letters, for example – does little more than confirm the historical reality of Jesus and the general time and place of his activity. …. He was a Galilean, and it is likely that his principal teaching and healing activity was in Galilee, but he was executed in Jerusalem. …. There are other facts about Jesus which are equally certain …. First he was put to death, and, secondly, the movement which issued in the Christian church began. They go on to mention others of these facts – his teaching, fame as a healer, openness to sinners, selection of “the twelve”, prophetic actions like cleansing the temple and clashes with the elites. Another standard, but smaller (at 1700 pages!) classical history reference work, this contains a briefer reference to christianity, but sets out as historical the main facts of his life, including his reputation as a teacher, healer and prophet, and his crucifixion. The late Michael Grant was a historian of the Roman Empire who wrote many books, including one on Jesus (Jesus: an Historian’s Review of the Gospels). He wrote: we can no more reject Jesus’ existence than we can reject the existence of a mass of pagan personages whose reality as historical figures is never questioned . He said of the gospels the picture they present is largely authentic and went on to outline what historians can conclude about Jesus, using the same methods as he would use in any other study, including Jesus’ claim to forgive sins, his healings (which he regarded as natural), his belief that he was inaugurating God’s kingdom and his death would be redemptive, the empty tomb and that people were convinced very early that he had risen from the dead. Robin was, until he retired, a classical historian at Oxford University and an expert on Alexander the Great. He wrote about the New Testament in his book The Unauthorised Version, and although he has many doubts about aspects of the gospels, he has no doubt that Jesus was a historical figure and concludes that his tomb was indeed empty after his death. 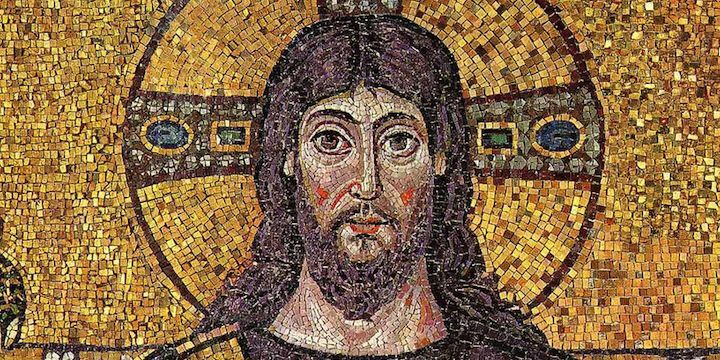 These two Roman historians at Macquarie University in Sydney have written about Jesus: While historical and theological debates remain about the actions and significance of this figure, his fame as a teacher, and his crucifixion under the Roman prefect Pontius Pilate, may be described as historically certain. Trying to deny the obvious? You may wonder why I have set out all these references. It is because many sceptics, who say they base their views on evidence, nevertheless choose to ignore the historical evidence for Jesus and try to claim he didn’t exist. Aussie historian John Dickson gives an example in his blog post Is Jesus Missing from the Oxford Classical Dictionary? Or, Why Internet Scepticism is Sometimes Really Dumb (2015). He references a post on the Debunking Christianity blog – For the fourth time Jesus fails to qualify as a historical entry in The Oxford Classical Dictionary – in which Harry McCall argues that the lack of entries under “Jesus”, “Gospels” or “New Testament” is an indicator that this redoubtable resource does not have any use for the New Testament as a historical record . McCall’s comments are confusing, because although he mentions the 4th edition in the title, all his references are apparently to the 3rd edition. So he quotes from the entry “Christianity”, but only from the end where the growth of christianity is summarised. He concludes: In conclusion, while Christian apologists may find proof of Jesus as a historical figure in a few Classical authors, the professional editors and contributors of this long standing ultimate reference work on the classical world would strongly disagree! Dickson copies some of the 3rd edition entry for those without access to it, and explains the difference between classical history and Near Eastern history. I don’t want to be uncharitable, but it is hard to see how McCall could miss these opening paragraphs about Jesus, nor why he didn’t mention them. As I’ve shown here, classical historians generally have little or no doubt about Jesus, his life, teachings and death, and McCall’s conclusion seems to be more of an indication of apparent bias than anything historical. I’m only guessing here, but I think there are two reasons why these types of inaccurate arguments are presented. We need to distinguish between the conclusions of expert historians, which we may regard as close to historical facts about Jesus, and the opinions we may all legitimately have about Jesus. For example, that Jesus lived, taught about the kingdom of God, was known as a miracle worker, challenged the religious authorities, was executed, and was believed by his followers to have been resurrected, can all be considered to be historical facts. Very few scholars would dissent from that summary. But whether he was really divine, he really performed miracles or was really resurrected are matters of opinion that cannot be fully settled by historical enquiry, although the historical facts can help us decide. I feel many sceptics, not believing in the latter, don’t realise that the historians are generally considering the former. Most historians are not apologists, as some sceptics say. I try always to distinguish the “facts” from my own beliefs based on those facts. But I think there is a less worthy reason for some scepticism about history. I think some sceptics are uncomfortable with any apparent facts that might be used to challenge their scepticism, and so they try to make an ambit claim about Jesus’ non-existence to make their scepticism easier to justify. Not only is this unnecessary (many scholars who accept the historical facts are not christian believers), but it puts their claims to be evidence-based in a poor light. They criticise christians for their faith, but exhibit similar (though opposite) behaviour themselves. I wish it wasn’t that way. If only the conclusions of the experts about Jesus were accepted by all (in much the same way as most of us accept the conclusions of the experts and therefore are not holocaust deniers, climate change sceptics or anti-evolutionists), we could get on with much more worthwhile discussions about how we understand Jesus. Information on the classical references was in History shows Jesus really lived by John Dickson. The Cambridge Ancient History Vol 10, chapter 17, The Cambridge History of Judaism (you can read about Jesus by choosing “look Inside” and searching for “Jesus” and The Oxford Classical Dictionary (again, “look Inside”). Nobbs and Judge quote is in The irreligious assault on the historicity of Jesus by John Dickson.